OK! He is one of my favourites! As far as recipes are concerned I find Jamie very simple and easy to follow, also his ingredients aren’t super flash and you won’t get confused when you can’t say them as trust me, you will know them all!!! Enjoy a little bit of healthy before we all go mad on the yumminess of christmas! thank you Lou..I was just this minute sitting here writing my grrr food shopping list and wondering what to have with our fish for tea …this will be perfect…boom done ! 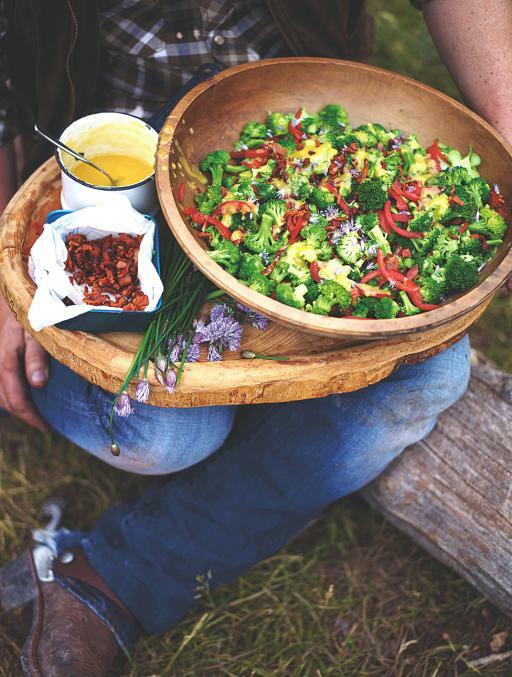 Oh my gosh I am SO going to make this … love our broccoli salads! And Jamie Oliver!! !